The number plate auction allows you to bid on registrations with the assurance of having us oversee the whole transaction. Not only was Regtransfers one of the first independent cherished registration specialist companies formed in the UK, it is now the largest, both in terms of the number of employees and of its unrivalled stock of exclusive, top quality registrations. What is the number plate auction? The Number Plate Auction is a premium online service that provides customers the opportunity to list their plates in an online auction for others to bid on. It also offers buyers an excellent opportunity to purchase registration marks securely in an online auction environment. Our auction differs from many other online auctions in that we specialise in selling registration marks and draw on over 30 years experience in the marketplace to ensure that the transfer process is overseen securely and legally by Regtransfers staff. If you have any questions, or need any help, please remember that we have staff here every day, who will be happy to speak to you. 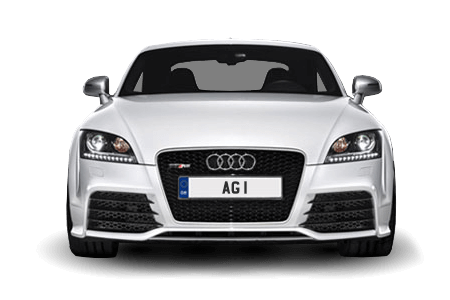 Email us at: auctions@regtransfers.co.uk. Why use the number plate auction? Regtransfers have been trading since 1982 and draw upon this immense industry experience to deliver a safe and secure service. We understand that, with the rules and regulations governing the transfer of registration marks, it can be a daunting experience for customers unfamiliar with the industry. We aim to offer the most straightforward, most secure and best overall online auction facility for buying and selling registration marks in the UK. Need some help using the Auction? Please visit our FAQ's for more information.